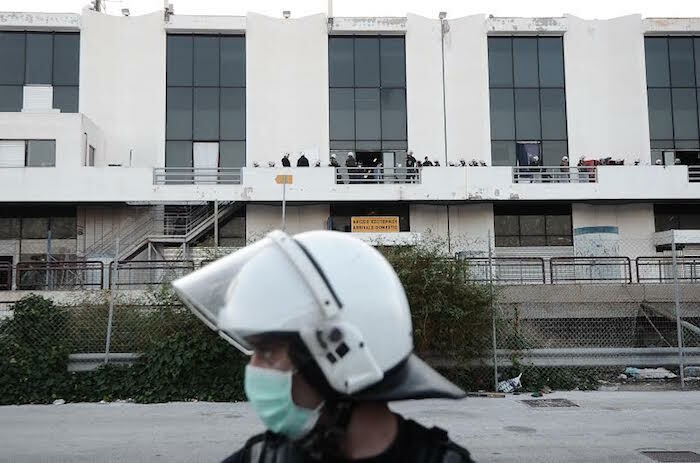 A police operation to evacuate the makeshift migrant camp in the area and buildings of the former Athens airport in Elliniko started at 6:30 am on Friday. The migrants will be transferred to new accommodation structures. 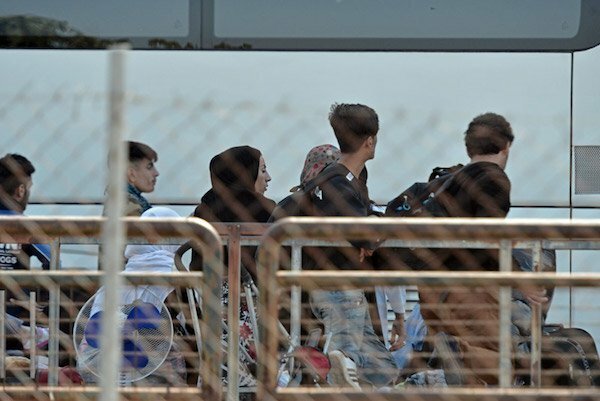 During the previous days, the International Organization for Migration and migration policy ministry issued notes with the number of the container each migrant will be residing. Priority was given to families of refugees. Around 8:30 am the first families started boarding the nine coaches hired by IOM, while police forces are lined up outside the three former airport buildings and they have also blocked entry to the area.According to police, the families staying in the hockey and baseball courts built for the 2004 Olympics in the former airport grounds will be transferred to the new hospitality structure in Thebes. They are about 500 people. The 150 or so single individuals will be distributed to different accommodation structures in Thebes, Derveni and Inofyta. All migrants and refugees will go through the identification process in Attica. About 10% of the makeshift camp residents did not want to leave the camp. Negotiators of the Hellenic Police, IOM and migration policy ministry discussed the issue with those who reacted to the transfer.